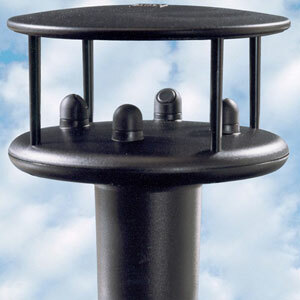 A lightweight unit, the WindSonic Ultrasonic Wind Sensor is of robust, high strength construction. Maintenance free, quick and easy to install, WindSonic is designed to be mounted using a standard pole fitting and comes complete with all screw fittings, a mating marine grade connector, and comprehensive user manual. A lightweight unit, the WindSonic Ultrasonic Anemometer is of a robust, high strength construction. Without the need for expensive on-site calibration or maintenance, and with a corrosion free exterior, WindSonic is a true fit and forget unit. The flexible design enables you easily to configure WindSonic to deliver the information you require. By using the software provided it is possible to select the output rate and choose the units of measurement that suit your application. Ensuring accuracy and reliability, WindSonic automatically transmits an anemometer status code with each output to indicate its operating status. 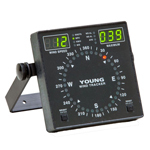 Available in several options, providing a number of different digital and analog outputs, WindSonic is supplied with NMEA and RS232 digital output as standard. Maintenance free, quick and easy to install, WindSonic is designed to be mounted using a standard pole fitting and comes complete with all screw fittings, a mating marine grade connector, and comprehensive user manual.